Can’t believe it’s Thursday already and class starts soon (half an hour) again. On Monday we had 2 new gentlemen join our class. One of the men was frustrated with the class – he didn’t understand anything that was being taught. When the profesor (teacher) asked if there were any questions (about what had just been taught), this individual stood and asked when the profesor was going to teach him the ABC’s and other basics. 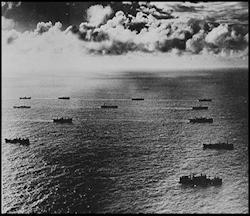 As an old (and former) Navy guy, his question reminded me of the World War 2 convoys. If your ship broke down and you fell behind – bummer for you. 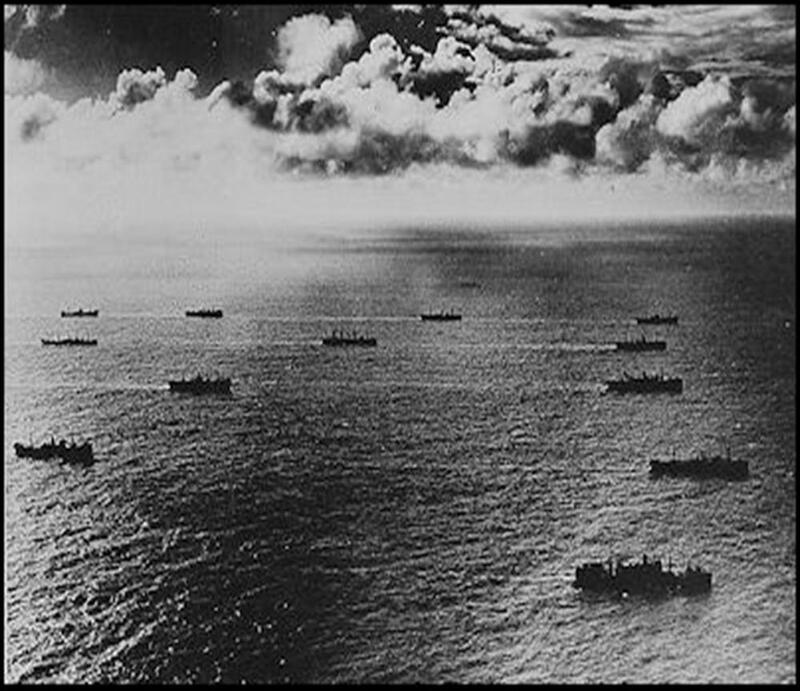 You either fixed the problem and hurried to catch up, or you were potentially in mortal danger of being sunk. As another classmate eloquently told the “newbie” – no, the entire class isn’t going to be stopped or held back while you try to catch up. It’s up to you to catch up. After class, I sat with the new guys for an hour or so and showed them what they needed to learn to catch up with the class. But I encouraged them to not try to catch up in one day! Take it easy, spread it out, and it’ll all work out. 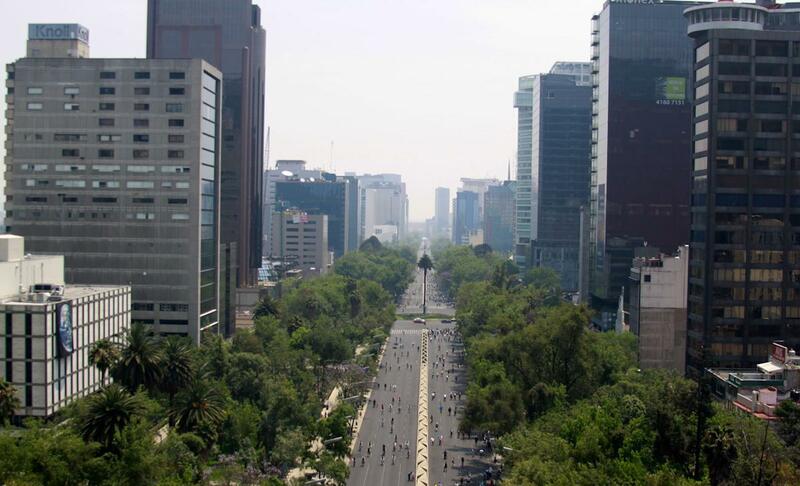 Mexico City has a great tradition of shutting down major streets and boulevards on Sunday for bike riders, joggers, skaters and walkers. As an example, Reforma is a huge boulevard running through town that has embassies (including US) and skyscrapers all along the way. It’s just one MetroBus stop away from us at the Casa and we go past it regularly. What you see in the picture is just the main thoroughfare – there are also lanes under the trees for buses and other public transportation. 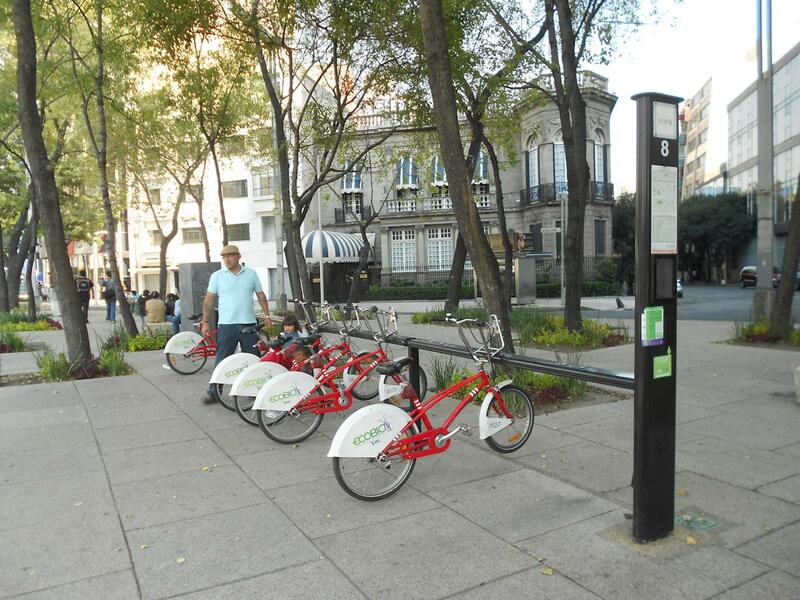 A nice part of this is DF’s (Distrito Federal – like Washington DC) big push for bike usage throughout the city. Ecobici is a system of bike racks all throughout the ctiy where member users check out bikes and can return them to different locations. I think the first 45 minutes are free and many streets have wide, dedicated bike lanes. We see a lot of people on the bikes throughout the week, and especially on Sunday when bike racks will be almost empty. 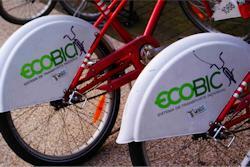 Leslie and I haven’t checked into joining Ecobici but we’ve been told you need to be a legal resident. We’ve also heard tourists can rent a bike for a day or whatever but it’s much more expensive. So this is one more thing we need to check out sometime in the future! A lovely couple, Teresa and José, have been faithfully coming every Thursday night to the Casa to offer Spanish teaching to anyone. Don and I were practicing Spanish with them tonight in the lounge when a blaring loud speaker make conversation difficult. So Don walked to the window overlooking the street below to see what the racket was all about. There was a local Cabletvision truck with 2 loud speakers mounted on the roof blaring advertisements for cable TV. But the driver had parked his truck in the middle of the narrow street and walked away with the loud speakers still blaring away! Amazing! One thing we’ve learned in Mexico City is that it’s a noisy city with hawking street vendors, men whistling all day long to get driver’s attention to park in their lot, horns honking, sirens wailing and Cablevision trucks with their loud speakers going! At 7:00 a.m. and 10:30 p.m. every day a man walks down the street ringing a big school type bell to announce that the garbage trucks are coming by and it’s time to put the trash out. Riding the subway (Metro), vendors ride the subway for 6 pesos a day and go through each car hawking their do-dads calling out in loud voices. Frequently, men carry a boom box selling their CDs of Mexican ballads with the volume turned up – I have to plug my ears it’s so loud! Don and I call these the “Sounds of Mexico”! Last Sunday afternoon the El Comité de Justicia Económica de Casa de los Amigos sponsored a festival here at the Casa with hand crafts, food, music groups and a presentation Arabic dance by our good friend Sol. Sol previously taught traditional dance in her home country and laughed with us a couple days earlier that she hadn’t practiced for over a year! But she did a great job and we all enjoyed it. After her dance, it was half time with the World Cup final so we grabbed a taxi to their restaurant and watched the rest of the game. It was a wonderful afternoon with good friends! Comments Off on Sunday at the Casa! Leslie and I just finished our first week of intensive Spanish. Going back to our room at the Casa I remarked “This sure beats sitting in a rocking chair” but she replied “I wish I was”! There are about a dozen of us beginner students from Russia, Nigeria, Haiti and Cameroon. We’ve got an excellent teacher in Andres who does great whiteboard work mixed with PowerPoint. We’re also considering working one on one with a tutor in the afternoons to work on speaking and pronunciation – we’ll see. I’m really looking forward to start being able to speak Spanish – if only rudimentary to start! You are currently browsing the Don Nelson Team blog archives for July, 2014.